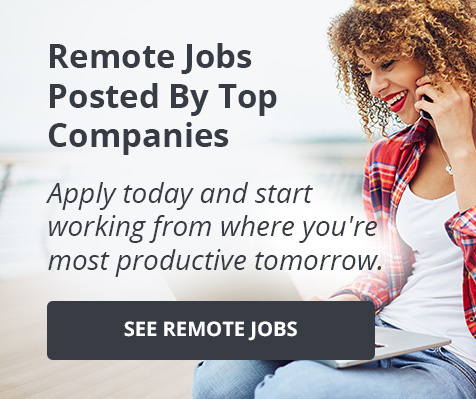 Is Remote Work for You? If you are a London-based tech professional and you are interested in attending this event, please email us at hi@powertofly.com to be considered for an invitation. 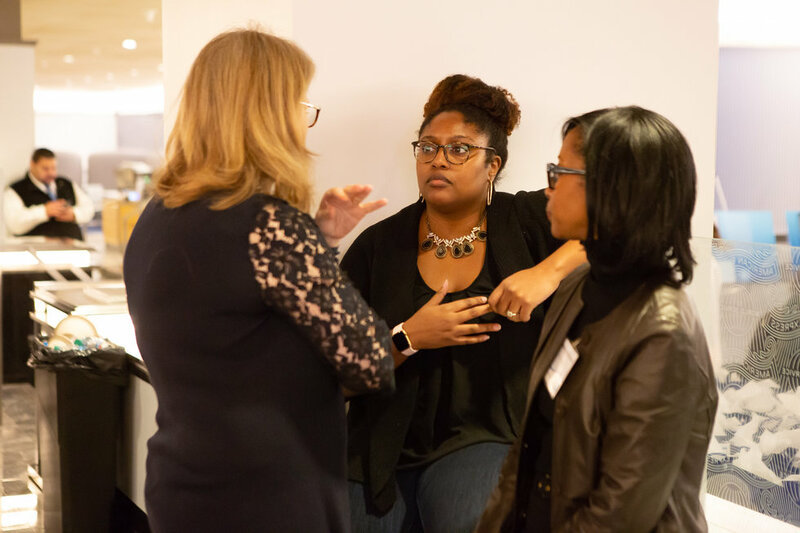 PowerToFly has partnered with American Express to host four packed women-in-tech events that resulted in lasting connections for attendees (and numerous hires). We're hosting our first event with American Express in London, and we want to meet you! Since this is an exclusive, invite-only event, you'll have the opportunity to network with top women in your field (and allies), as well as team members from American Express and PowerToFly. If you are based in the Phoenix are and you are interested in attending, please email us at hi@powertofly.com to be considered for an invitation. 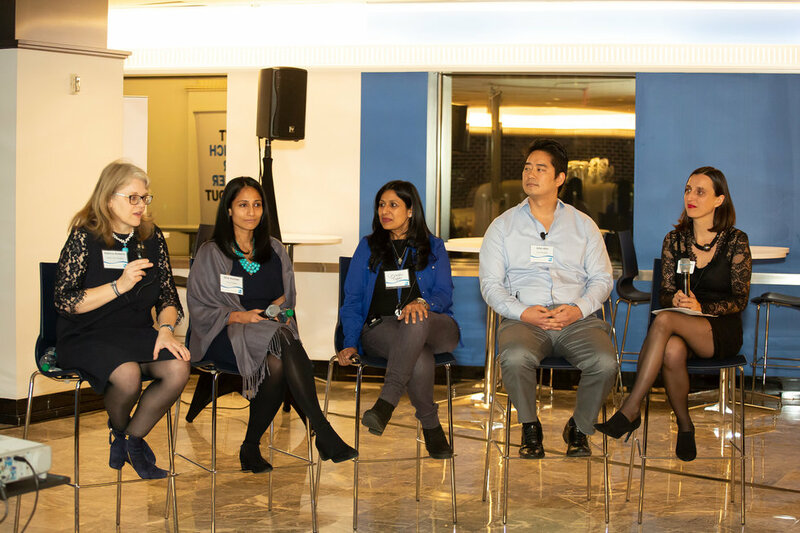 On November 14, 2018 American Express partnered with PowerToFly to present our third networking event together. After sold-out events in Florida and Arizona, it was amazing to host an evening at American Express' New York office and the night did not disappoint. As our guests came in from the cold (there would be a huge snowstorm in NYC the next day), they were invited to receive a complimentary headshot photo (a must when looking for new opportunities) before helping themselves to an impressive buffet spread. 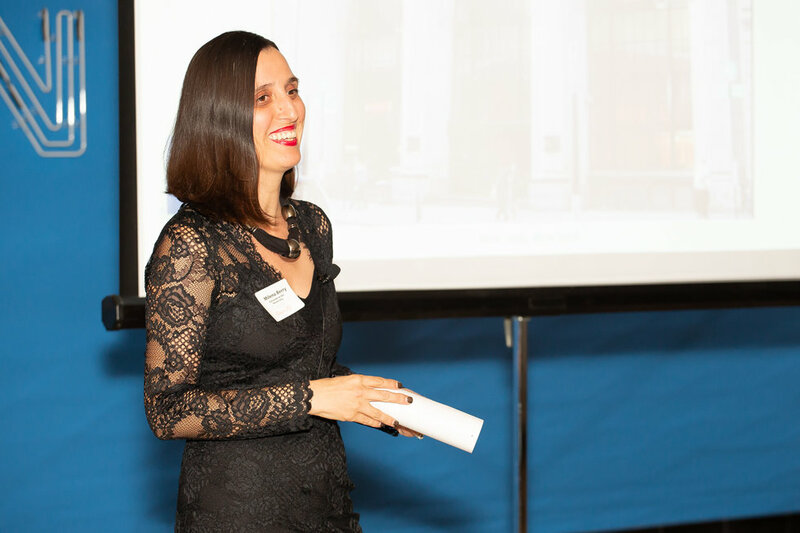 PowerToFly's CoFounder & CEO Milena Berry kicked off the night by officially welcoming everyone and introducing Katrina Roberts, SVP of Technology and Unit CIO at American Express. "This is my second family," explained Katrina, a twenty-seven year veteran of the company. "We work together to achieve amazing outcomes and it does feel like a true team. So that's one of the reasons I've stayed. The second is the challenges are endless. I never stop learning. I'm still learning all the time and I'm always given the opportunity to develop." 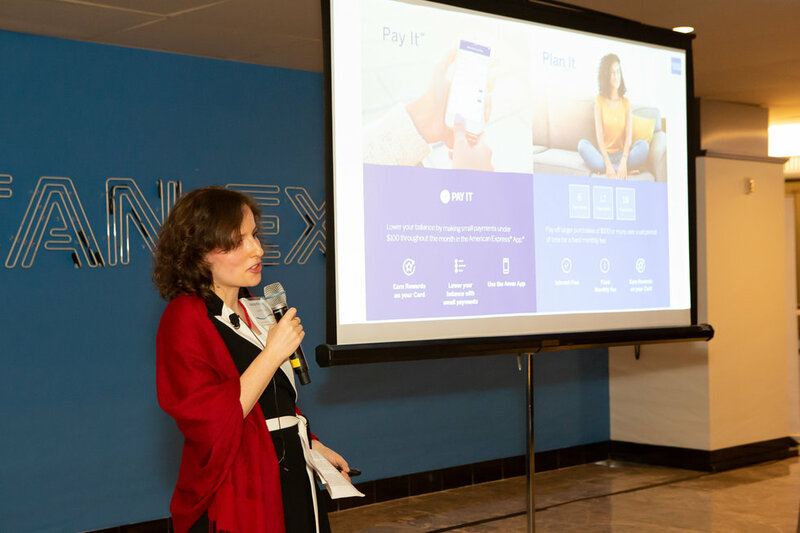 When Katrina wrapped her moving keynote address, the audience was treated to a pair of product demos highlighting innovative American Express technology. 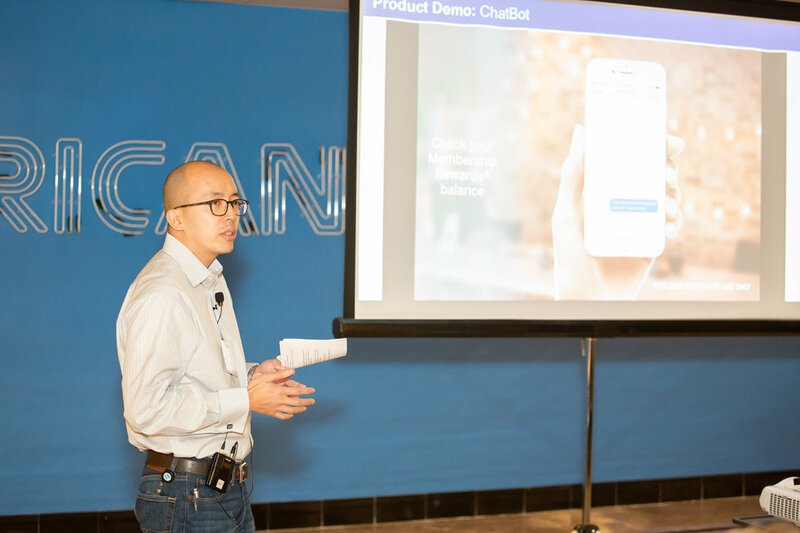 First up, Shek Lee, American Express Engineering Director spoke about the American Express Chat Bot and the role machine learning plays to help the company deliver customized customer experiences. As Shek explained, "the digital concierge learns your preferences over time and then provides personalized recommendations to help you book your travel." The next product demo began with a hilarious television commercial starring Tina Fey and featuring Amex's "Pay It, Plan It" tool. 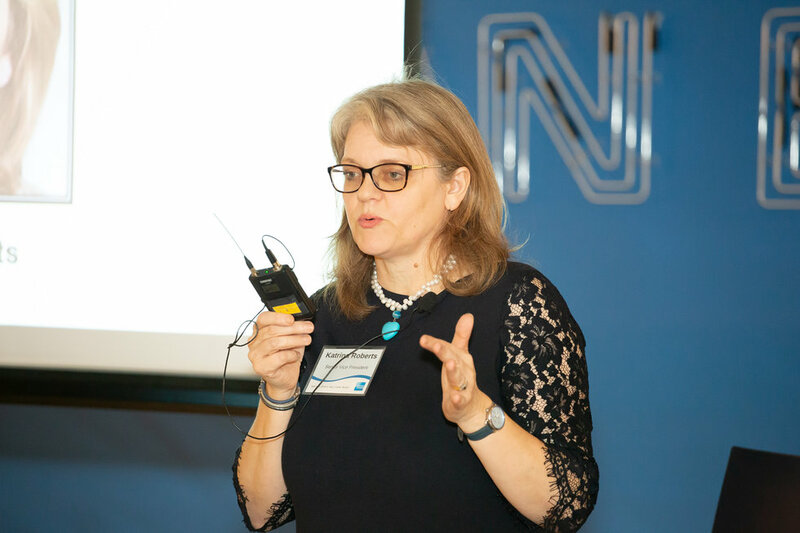 American Express Vice President Anna Knizhnik broke down this great feature that allows Card Members to pay for small purchases right away, or make a plan to pay for larger purchases over time.. "People love Pay it, people love Plan it," Anna said. "They can manage their balances and manage their large purchases in a very responsible way. That is one example of the powerful backing of American Express." 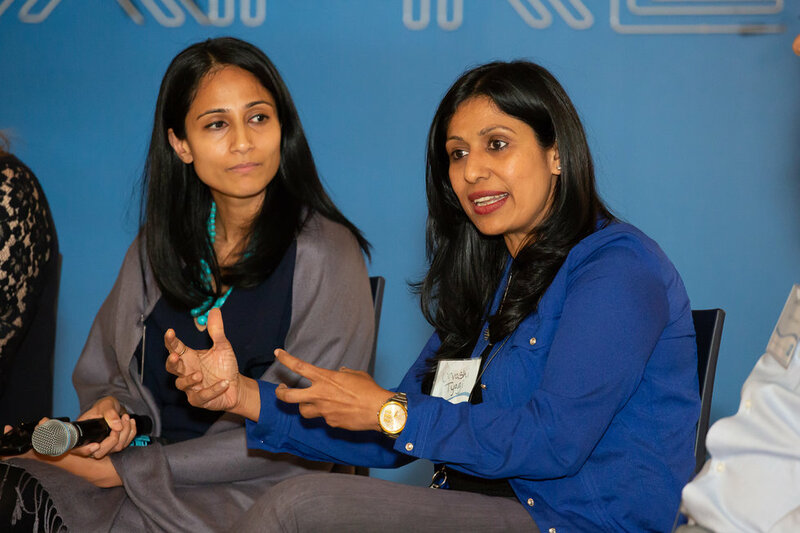 Milena then brought back Katrina for a panel discussion where they were joined by American Express technology Vice Presidents John Ahn, Urvashi Tyagi and Divyangi Anchan. After Milena asked the panel some questions, we had a few minutes to open the floor to some very perceptive audience questions. 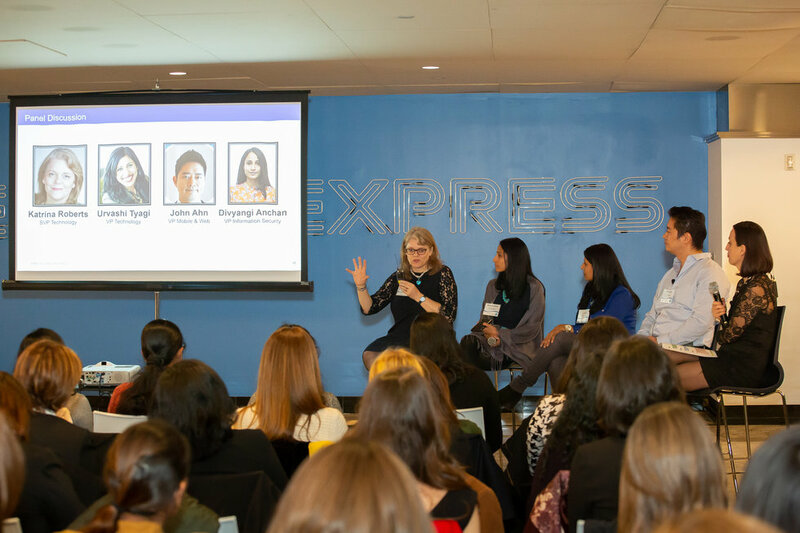 Katrina, who serves as the Global Sponsor for American Express' employee network WIT (Women in Technology) shared how diversity and equality is part of Amex's DNA: "It's about creating safety, comfort, sharing common challenges and creating a sense that we can change things, not just from senior leadership down, but across the organization." 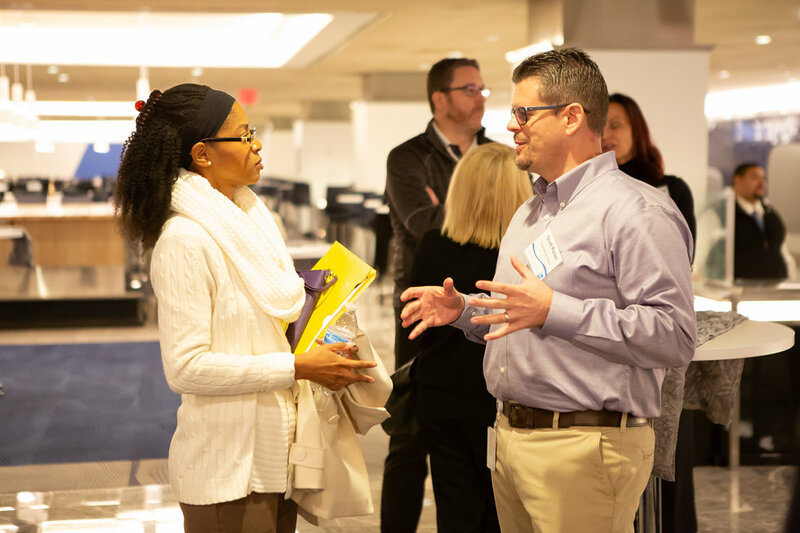 Once the panel wrapped up, our attendees still had plenty of time to network with the American Express team and to ask some more follow up questions. As our guests departed into the soon to be snowy air, they walked away with gift bags and memories of a great night. American Express is hiring! Follow Amex on PowerToFly to learn more about open opportunities. PowerToFly's CEO Milena Berry welcomed our attendees. Katrina Roberts, a twenty-seven year veteran of American Express provided the evening's keynote address. American Express Vice President Anna Knizhnik discussed the "Pay It, Plan It" feature. Our panel discussion featuring from American Express: Katrina Roberts, Divyangi Anchan, Urvashi Tyagi and John Ahn. Katrina Roberts answers an audience member's question. Attendees had plenty of time to network. Attendees had the chance to not only meet members of the American Express team but their peers as well. On April 12th, PowerToFly partnered with American Express to present an exclusive evening for women in tech at Amex's gorgeous office in Sunrise, Florida. 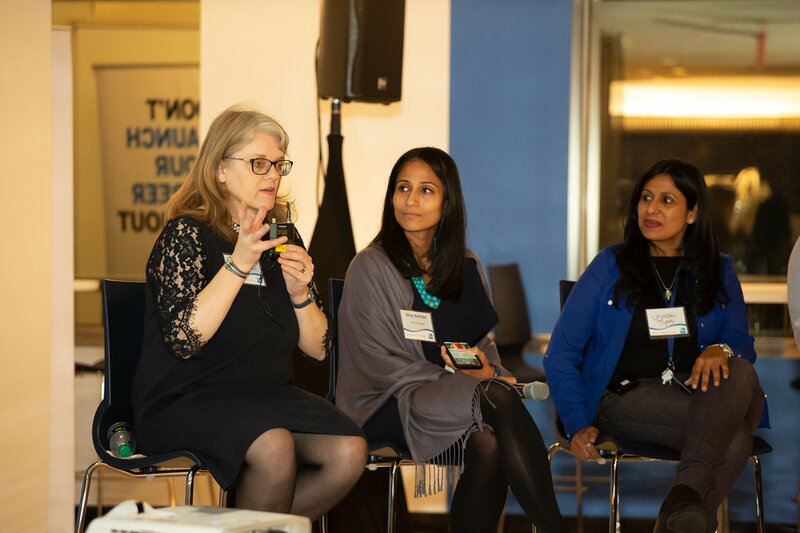 A great crowd turned out to hear a panel of American Express senior leadership, network with both Amex executives and their fellow women in tech and score a complimentary headshot. The night kicked off with a keynote address by American Express VP, Technology Ileana Figueroa. The audience was treated to insightful product demos from American Express team members Cheryl Duke, Elizabeth Herbert, and Donna Peters. The centerpiece of the evening was a fireside chat with Licenia Rojas, a twenty-year veteran of American Express and their Senior Vice President and Unit CIO, Global Services Group. 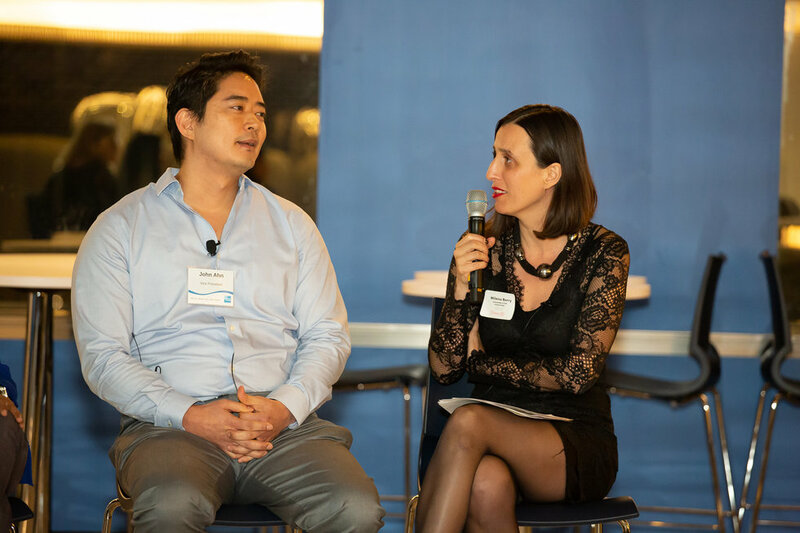 Ileana then joined Cheryl Rico, VP and Unit CIO, Global Consumer Services Technology, and Dean Vocaturo, VP/GM, Network Engineering & Optimization for a panel and audience Q&A. American Express is hiring. To learn more including their open roles, visit their page on PowerToFly and click "Follow." Check out some photos from the event below! 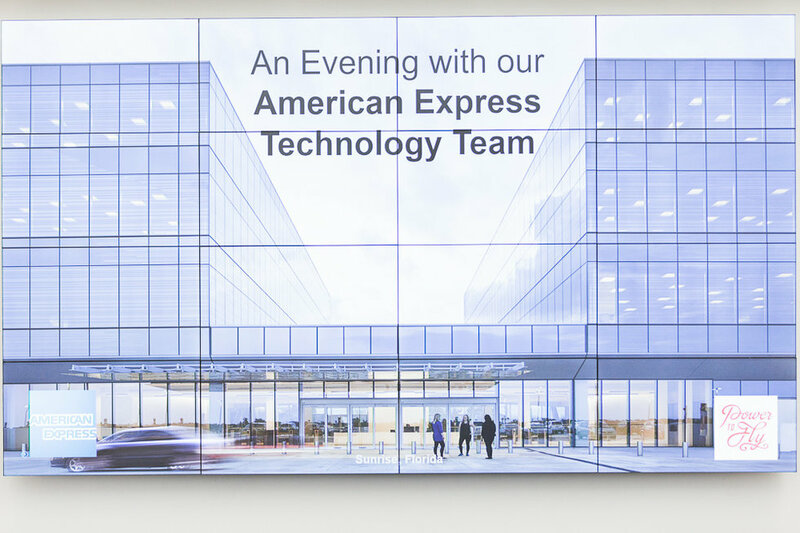 PowerToFly partnered with American Express to present an evening with their technology team at their office in Sunrise, Florida.